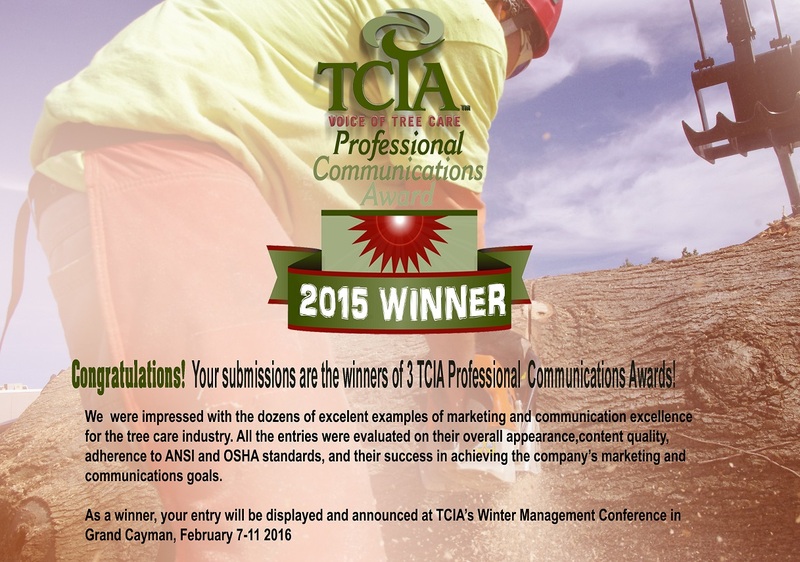 We have been announced as the winners of the prestigious 2015 Tree Care Industry Association’s communication awards. We won three out of five categories. Every year the Tree Care industry association awards the industry leaders with awards for excellence in communication. There are five categories that range from website design an print material to special entry selections. 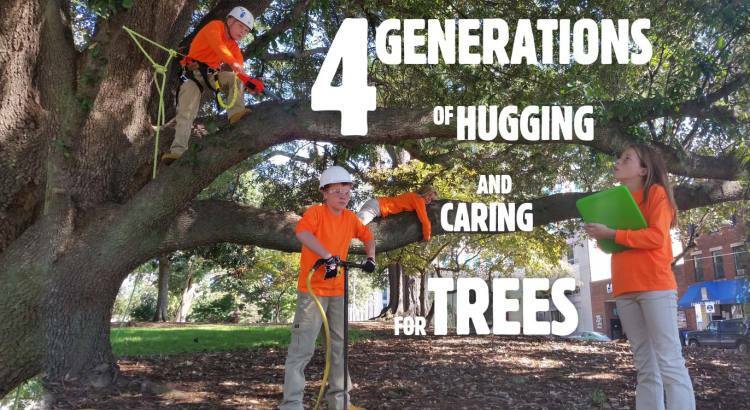 Arbormax Tree Service was announced as the winner for the three following categories..
Best Website- If you take a minute to browse around our website you will see that it is designed to educate our clients and assist them in understanding what we do and why it is done. We took every picture on the site and wrote every word. The extra hundreds of hours spent designing and writing the extra details and ideas into the site paid off. We are so happy to be recognized for our hard work and dedication to our craft. A big thanks is owed to Chip with Better Image Web design for helping us put our ideas on the screen. Best Flyer/ad/postcard- Once again we believe that an educated and informed customer is always the best one. That is why we designed and use an array of flyers and pamphlets that describe our services. We pass these out during estimates and consultations. 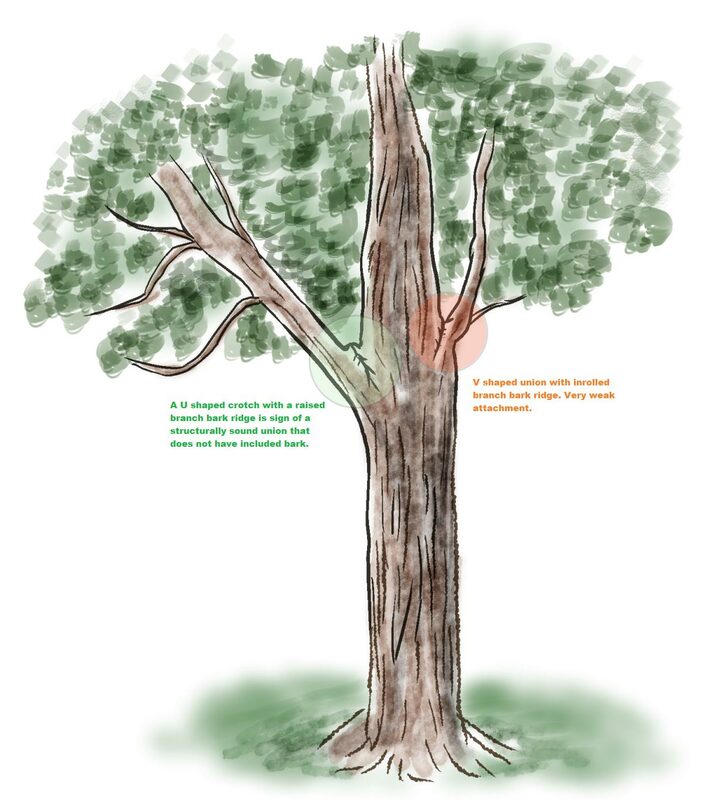 This literature comes complete with custom Arbormax illustrations (pictured below) and photos taken by us. Just Like our website, all of the wording, content and ideas came from our staff. Best special Entry- This category is the one that we are proudest of winning. We were recognized for our commitment to the community and helping those who are in need of help. We really don’t want to toot our own horn on this one because we do not help out for that reason. But is so nice to be recognized. It is October. That means it is time for us to paint the town pink. We have traded in our safety green Arbormax shirts and comfy climbing helmets for these bright pink beacons of hope. Early detection is so important in winning the fight. Why do we do this? Why is it important. I will tell you why. When I was 9 years old my mother got breast cancer. I was a mamas boy all the way. You can’t imagine how hard it is for a 9 year old to come to terms with the fact that his mom might die. For months I watched her struggle with surgeries and chemotherapy. I can still remember the pink cap that she wore like it was yesterday. It was a long, hard fight but she made it. So many do not. Early detection was the difference in life and death for her. I am all grown up now and mama is healthy but that pain and those memories are still here. I can’t imagine what life would be like if she didn’t catch it early. That is why we paint the world pink. 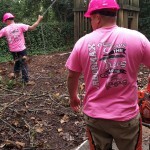 If one of our pink shirts or trucks or Facebook posts saves the life of another little 9 year old kids mama, or any other woman’s life we have done what we set out to do. Just one. 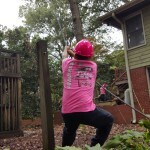 One homeowner, one ladder and a chainsaw is a recipe for disaster. We all like to save money when we can. Undertaking a home repair or improvement project yourself is a great way to save some money. Tree work should never be a DIY project though. Unlike painting or carpentry, it is extremely dangerous and can kill you. Sometimes people do not realize just how dangerous tree work can be. 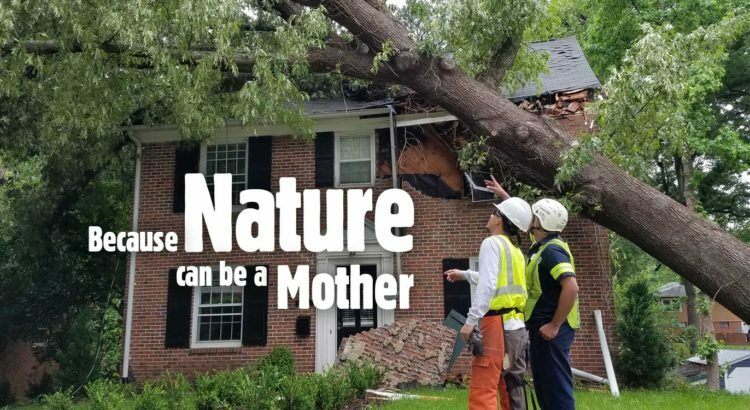 On average 5-10 homeowners die every month in the U.S. while trimming or cutting trees their trees. 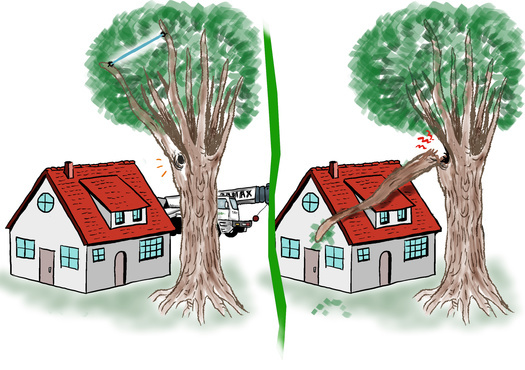 Most homeowner related fatalities occur when the tree or limb that they are cutting strikes them. Some deaths are related to falls and others are due to being struck by the chainsaw. The TCIA is at the forefront of safety in our industry. They have numerous safety and training programs including the Certified Tree Care Safety Professional certification (CTSP). The TCIA is also known for their comprehensive studies of tree related fatalities. 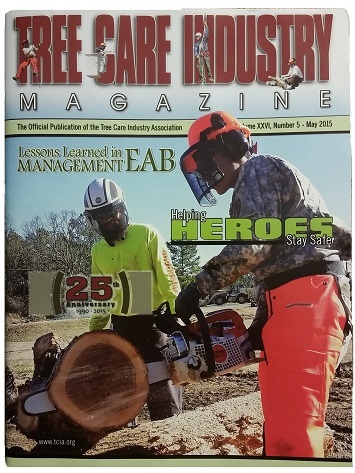 Inexperienced tree cutters that represent them selves as being professionals account for a large number of the tree related fatalities each year too. Always ask if they have a CTSP on staff. Winter is rapidly approaching and if it is anything like last year, it will be a long and cold one. Warmth for wake not only helps heat homes, it helps warm hearts. 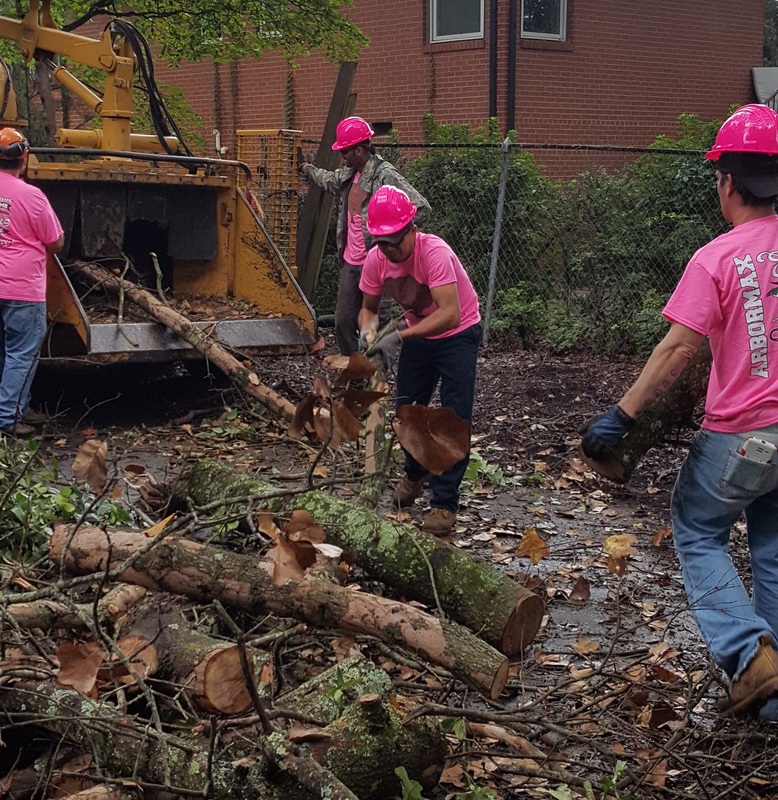 It is an all volunteer program that provides firewood to elderly and financially challenged individuals that have no other means of heating their homes. Volunteers gather several times per season to cut, split and deliver it to those in need. 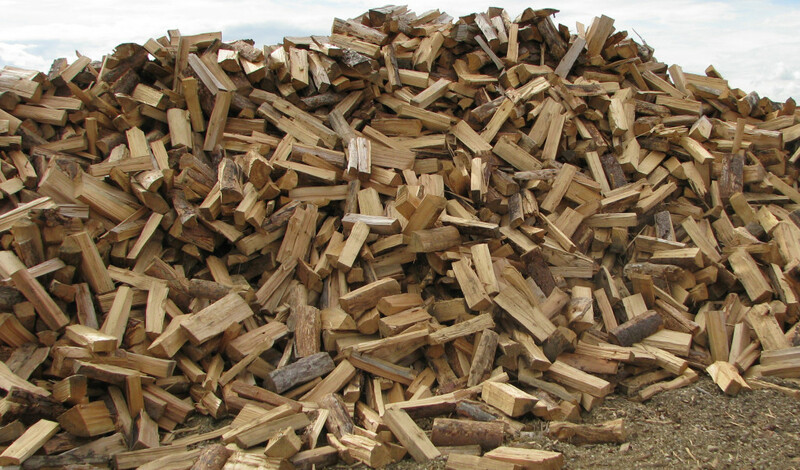 We are more than happy to donate the wood, saws, splitters, trucks and facility. We have volunteer days coming up on Saturday Oct 24th, Saturday November 21st and Saturday Jan 30th. 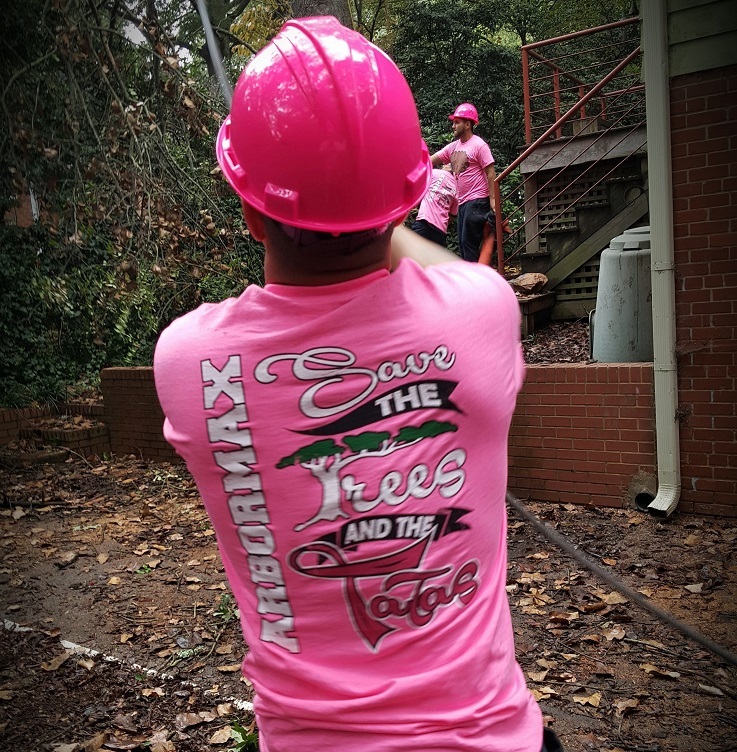 Please email Tim if you would like to help timothy@arbormaxtree.com or call the office for more info 919-412-6790. We promise that it is one of the most rewarding volunteering experiences you will ever have. To slow the growth of select branches or redirect a branch you should prune soon after the seasonal growth. The slowing is caused by reducing the amount of leaves therefore reducing the amount of food made and sent to the roots. Summer pruning can also be done for corrective purposes. Defective limbs and limbs which are to heavy from the weight of leaves can be easily spotted. If the tree blooms in spring prune when their flowers fall off. Trees that flower in mid to late summer should be pruned in winter or early spring. Fall- Because the healing of wounds is slower on fall cuts and decay fungi spores spread in the fall making the tree at a higher risk of being infected. 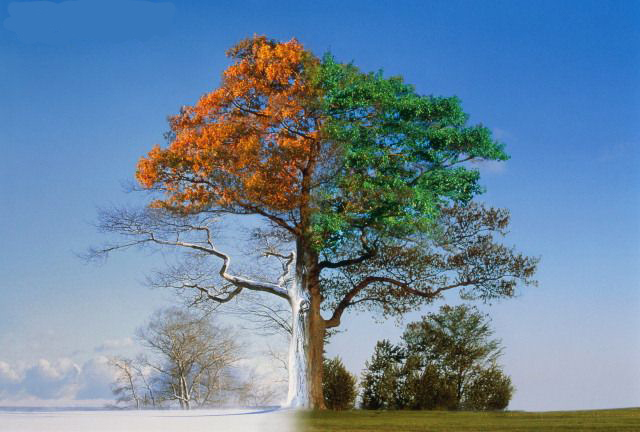 In addition to spreading fungi, trees are exerting energy to prepare for winter. You do not want the tree to redirect resources into healing during this time. 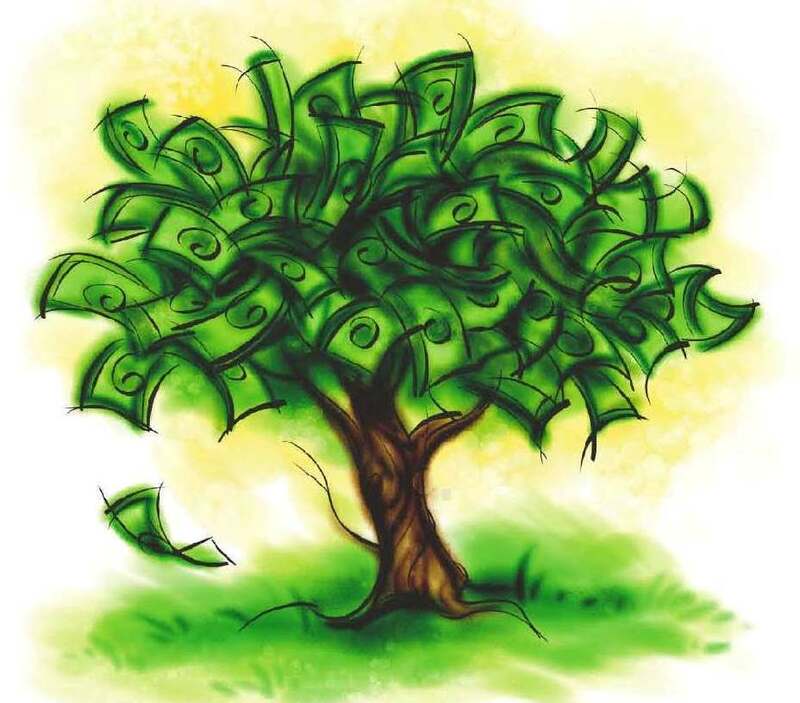 You’ve always heard “Money doesn’t grow on trees” that saying is true for everyone except greedy, =unethical tree services. When they look at your tree, that is all they see. Money, Money, Money! 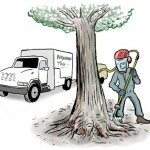 The #1 way to identify a shady tree service- Did they recommend fertilizing your trees without taking a soil sample? If so, they are probably crooks. If you have had a tree service come out for an estimate and they recommended fertilizer without even sampling the soil, they are an unethical company. They are most likely a sales driven company with a staff that is trained to promote and sell products and services that aren’t needed. These services can be pushed as packages and are usually recommended on a reoccurring basis. It is great for a companies bottom line, but bad for business when the client finally realizes they’ve been taken advantage of. Many tree companies want you to think your trees need to be pruned every year to stay healthy or they want to sell you some expensive fertilizer to better your trees. Is it really necessary? No its not. 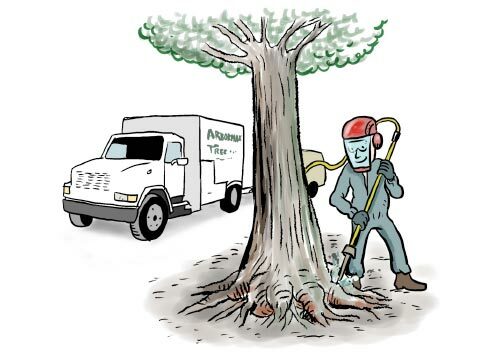 Every standard that applies to fertilizing trees requires an arborist to obtain a soil sample prior to prescribing a fertilization treatment. Unnecessary treatments should not be applied just to make a sale. 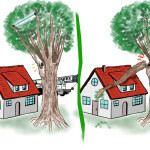 Pruning- A tree’s pruning needs depend on the type of tree, size, location, owners wishes and of course the health of the tree. 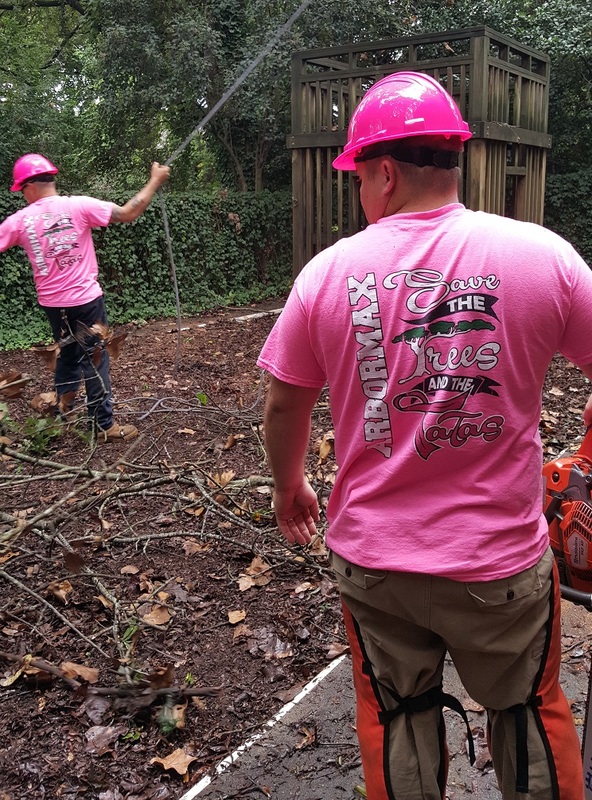 Pruning schedules for most urban trees in good health should be every 3-4 years and should focus primarily on function type pruning such as removing dead wood and clearing limbs away from buildings and lights. Fertilizer You should not fertilize your trees unless you know what you are fertilizing for. Your arborist should take soil samples from the tree in question and get lab analysis info to be sure of missing elements from the soil. Then accurately replace what is missing. This is called the Prescription (Rx) approach. Applying fertilizer without an Rx is unnecessary and wasteful. Some companies just want to sell you a product and will do so by telling you without these treatment your tree will decline or die over time. Unnecessary treatments should not be applied just to make a sale. As with any service, Ask yourself what am I getting? Will it truly benefit the tree? Why does one tree need pruned and another not? 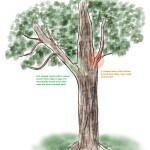 A good arborist should be able to explain these things and help you spend your money to best sevice your trees needs. We made the cover of our industries premier magazine. We recently conducted a week long training event for the amazing men and women of the 105th engineer Batallion with the North Carolina National Guard. We sent a write up to TCIA about the experience and they were so impressed that they made us the feature article. Thank you again to the Heroes of the Guard and thank you to TCIA as well.